Living Spirit Dishgarden is a fine display of our available plants to honor the life of your loved one. 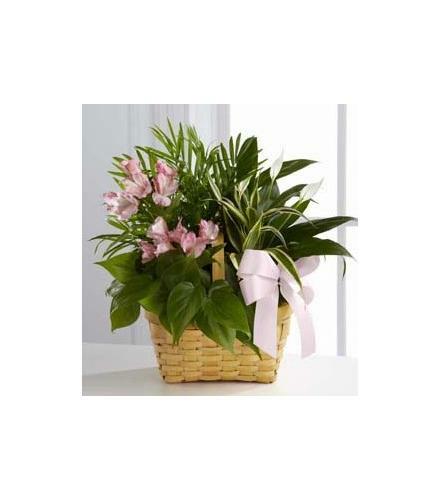 The mixed plants are lush and lovely and accented with stems of pink Peruvian Lilies. Seated in a basket, this dishgarden conveys your most heartfelt sympathy while offering hope.Plants and Planter Basket - Living Spirit Dishgarden Planter.